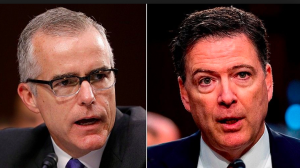 They want to give up how Comey and McCabe destroyed the bureau. Leaving aside anything else, 47% conviction rate? That’s abysmal.